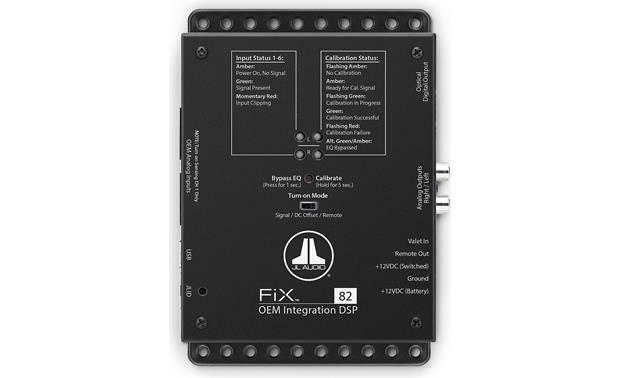 The JL Audio FiX 82 is an OEM Integration DSP with Automatic Digital EQ. 8-ch. Inputs / 2-ch. Stereo RCA Outputs / 1 Digital Optical (Toslink) Output. You want to upgrade the sound system in your car with new speakers and amps but without replacing the factory radio. However, your factory system uses unusual EQ curves and preset time alignments that work well with the cheap factory speakers, but will prevent your aftermarket gear from reaching top performance. JL Audio FiX 82 digital signal processor removes the factory system’s equalization, crossover filtering, and time alignment, providing you with a completely flat and focused audio signal that your aftermarket amplifiers and processors can turn into high-fidelity music. The FiX 82 was designed to get its input signals from your vehicle’s speaker wiring — no outboard level-matching devices are necessary. The FiX 82 automatically re-synchronizes any signals that have been time-delayed, returning precision to the sound. It takes your system’s 2-way, 3-way, or 4-way outputs, matches their levels, and combines them into two full-range stereo signals. Then dual 1/3-octave equalizers automatically flatten the frequency response, leaving the system ready for your custom processing and amplification. It doesn’t come much easier than this: pop the calibration CD or loaded thumb drive into your receiver, hit play, push in and hold the FiX 82 calibration button, and all the processing is done in about 30 seconds. The 24-bit 48 KHz digital processor ensures clean, low-noise signal handling and output. 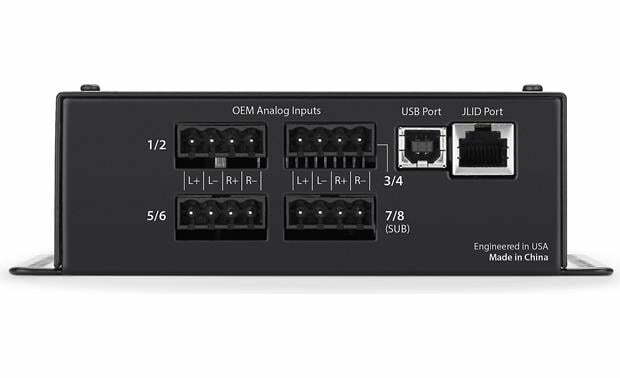 In addition to the standard analog RCA outputs, a digital optical output lets you connect to compatible devices with the highest fidelity possible. You’ll set up your FiX 82 with the factory radio’s volume control at 3/4 full. 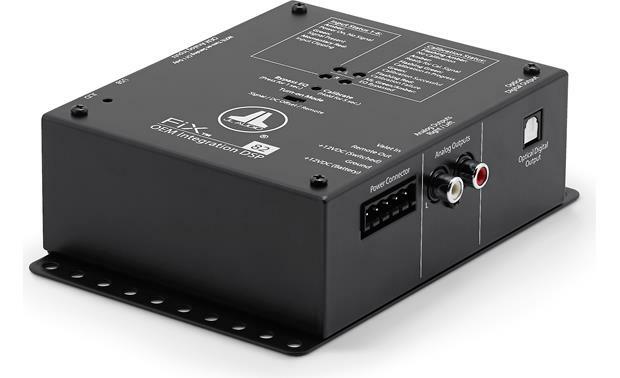 Once the system is calibrated, you can use the optional DRC-100 Digital Remote Controller (sold separately) to control your system’s level while maintaining the processor’s EQ restoration. You can still use your radio’s volume control without a DRC-100, but the factory volume-dependent equalization will affect the tone at different settings. In addition to volume control, the DRC-100 features a Handsfree Optimization Mode that disables the FiX 82’s time-correction and adds a high-pass filter to the audio to clarify the sound when making hands-free phone calls. A multi-colored LED on the remote report the operational status of the FiX 82, so you’ll know what’s going on from the driver’s seat. Important Note: Some factory radios and amplifiers will not work without sensing that its speakers are connected to their outputs. 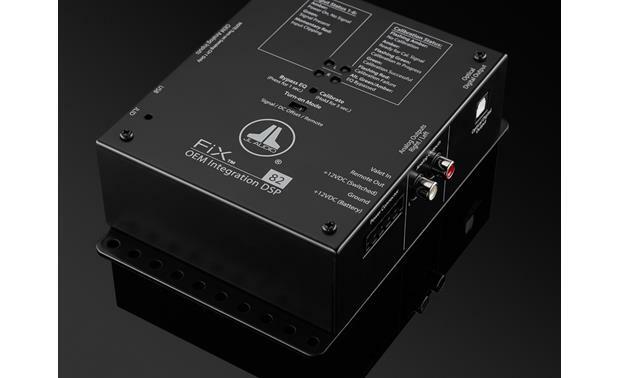 If you don’t have output from your factory system after installing this FiX processor, you’ll need a FiX-LSA-4 load-sensing adaptor (sold separately) to correct the issue.